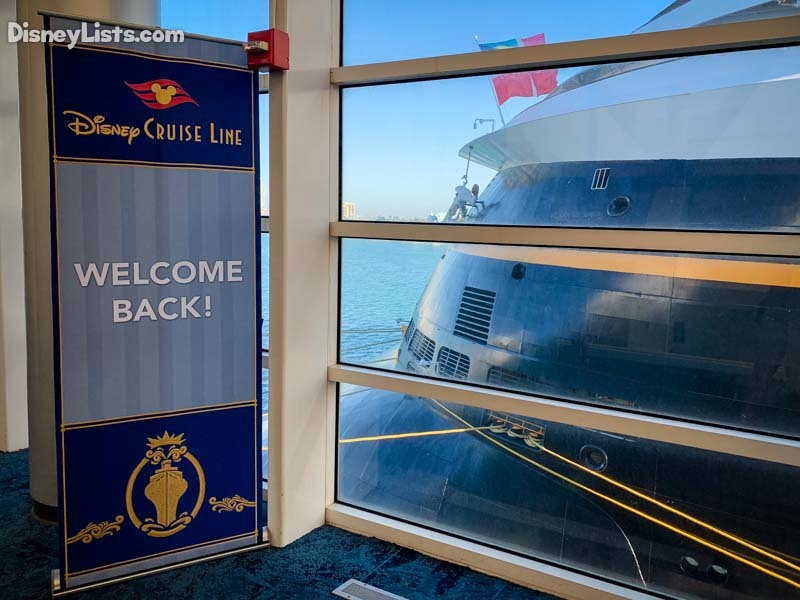 Our final day on our Disney Cruise was the dreaded debarkation day. Ending your vacation is never fun and leaving a ship as fabulous as the Disney Magic is even harder. However, leaving a cruise ship is not as quick or straightforward as leaving a hotel room. There is a process that must be followed and can be confusing to first-time cruisers. Read all about our debarkation day below. The process for your debarkation begins the day before you leave the ship. After we returned from Castaway Cay, we found instructions on debarkation and how we needed to prepare in our room. The debarkation process will vary by passenger, and it really depends on your travel schedule the following day and how much you want to carry with you when you leave the ship. For instance, if you have an early flight the following day, you might choose to leave differently than if you have your car parked and no deadlines to make. If you have a lot of luggage with you, or very large items, then you probably won’t want to carry these bags off the ship yourself. 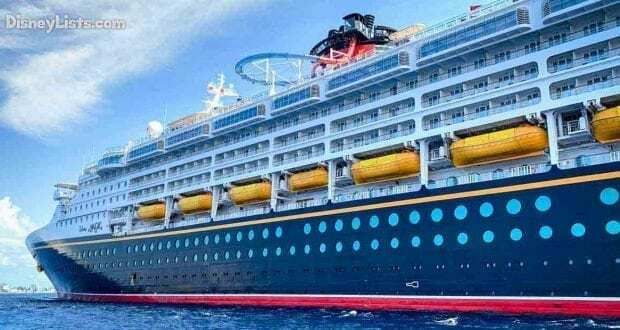 In this case, you’ll pack the majority of your items on your last day and leave your luggage in the hallway the last night to be picked up and carried off the ship by the crew. 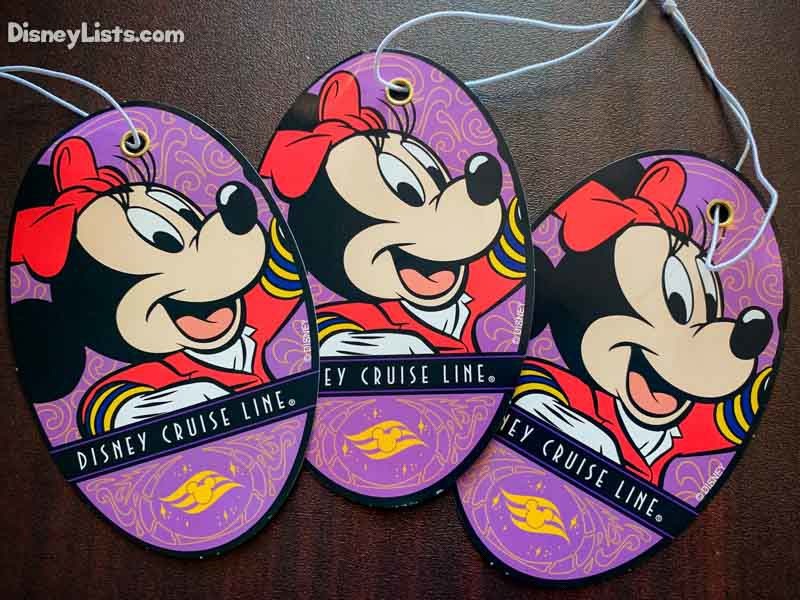 You will receive color-coded luggage tags (with a corresponding Disney character) with your debarkation instructions to attach to your luggage. Remember this color and Disney character. After leaving the ship and clearing customs, you will claim your luggage in the area corresponding to that color/character. For our cruise, we needed to have our bags out no later than 10:15 pm. This gives Cast Members time to pick up all luggage and prepare it for customs once the ship gets into port the next morning. Be sure you have a carry-on bag for anything you’ll need the following morning such as your toiletries, electronics, valuables, and clothing. DO NOT pack your Key to the World card or passport. You will need both to be exit the ship and clear customs! The other option for packing is just to keep all of your bags and carry them off with you. If you choose this option, you will need to leave with the first group of passengers debarking (Express Walk-Off). This can be a good idea if you sailed with very little luggage or if you have a very early flight with a tight travel window. If you do not plan to leave the ship with the first group, let the crew handle your luggage. Elevators will be packed, and you will likely end up carrying your luggage up or down the stairs. 3 – All Ashore That’s Going Ashore! If you haven’t cruised before, you may be surprised to learn that you can’t just leave the ship whenever you want. Because of US Customs and regulations, guests must be cleared to leave the ship. There are two options to leaving the ship: leave as soon as possible (Express Walk-Off) or leave later with your assigned group. Either way, plan on a very early morning! There is no sleeping in on your last day! The crew and cast members only have a few hours to turnaround the ship for the next cruise, so the morning begins bright and early. If you choose to keep your bags with you and just simply want to get on the road as early as possible, you’ll want to plan on leaving the ship early with the first group. For this option, keep your bags with you. You will have no assistance in getting them off the ship, so make sure you have enough hands to carry all of your luggage. Guests using this option still have to be cleared by local authorities and wait for the Express Walk-Off announcement to leave the ship. For our cruise, guests using this option could expect to leave around 7:15 am. For those who want luggage assistance and breakfast, you’ll need to pack your bags and get them into the hallway as described above in #2. You’ll be eating breakfast in the same dining room you ate dinner on the last night. For instance, for our cruise, we ate at Animator’s Palate for the main seating (5:45 pm) the night before. Therefore, our breakfast time was 7:00 am at the same dining room. Guests who had the second seating for dinner were scheduled for breakfast at 8:15 am. For this option, be prepared to bring everything with you to breakfast. Once you leave your stateroom, you won’t be able to go back. After breakfast, you will wait for your color/character to be announced. While breakfast at Cabanas was not advertised, we did find it was open for guests who wanted a more flexible breakfast. We ate at Animator’s Palate because we had the time, and because we wanted to say thank you and goodbye to our wonderful servers who we had gotten to know throughout the week. Note that those who have an early flight do not necessarily need to use the Express Walk-Off option. Guests with flights out of Miami International Airport before 12:00 pm are considered to be early flights. If you have an early flight and want luggage assistance, you need to contact Guest Services for an early debarkation luggage tag. If you have any questions or concerns, talk to Guest Services. Future cruising tip: if at all possible, you’ll save yourself a whole lot of stress if you have an afternoon flight. There is a lot you can’t control, like when you will be cleared to leave the ship and traffic getting to the airport. Better to wait at the airport than miss your flight! After breakfast, we waited about 30 minutes for our color/character to be called. We lined up, and sadly, left the ship. Our Key to the World cards were scanned. We were then directed to retrieve our luggage. After collecting our bags, we presented ourselves to U.S. Customs and Border Patrol. Again, you’ll need to have proof of citizenship, your passports, in hand and ready for inspection. If you have something to declare, that form is also required. Make sure your party is together to expedite the process. 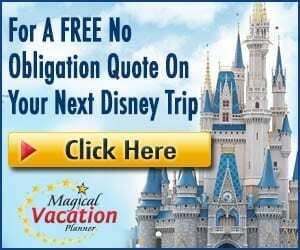 Disney has options for guests needing a transfer to the nearest airports; in our case, Miami International Airport. 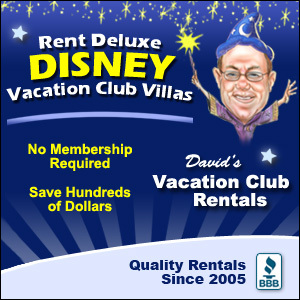 You can purchase transfers ahead of time, and you will be directed to a motorcoach to board. There are also plenty of taxis and other transportation options at the port. We prefer Uber or Lyft to pre-arranged transfers. We drove to Miami, so after we left the ship, we went to our car for the long drive home.